Our recommendation for removal varies depending on your application method and may change depending on your care. Our training includes the professional safe removal of hair extensions with the correct tools to avoid damage to your hair and scalp. For our pre-bonded range, we recommend removing the extensions at 3 to 4 months. 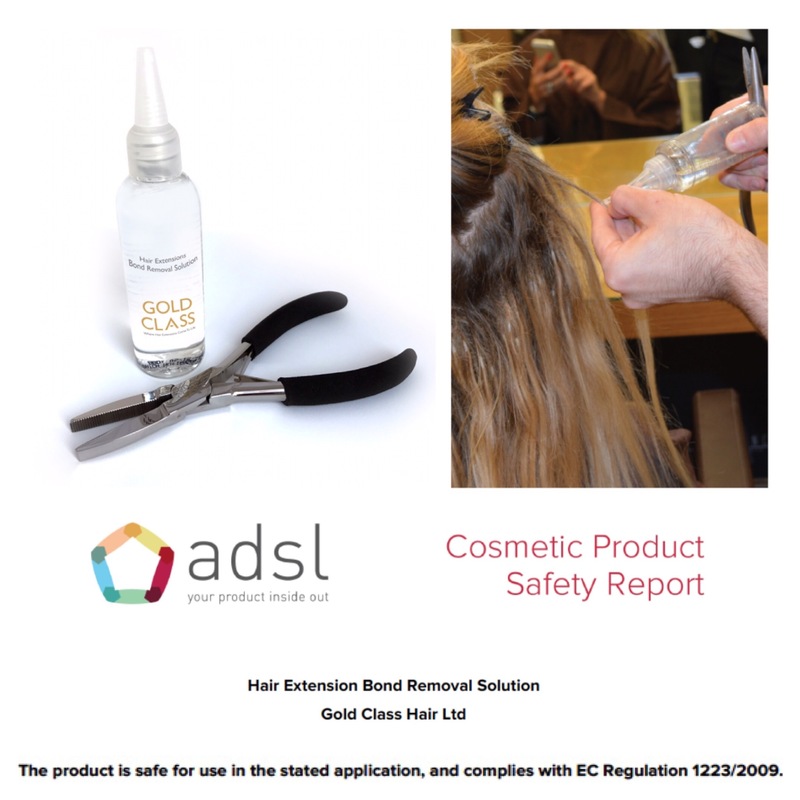 Using our specially formulated removal gel, the extensions simply slide down the hair causing minimal damage and no signs of traction on the hair or scalp as witnessed by a leading Trichologist*. Our specially formulated removal solution has been approved by ADSL (Advanced Development & Safety Laboratories). The Micro Rings need to be removed for maintenance and re-applied every 3 to 4 months, before finally being removed at 9 months and changing to a fresh set of hair. Removal is simply by un-clamping the ring and gently sliding both the extension and ring down the hair. Our Tape Hair needs to be removed every 6 to 8 weeks with a specialist spray remover that releases the adhesive tape. The hair can be re-used once more if kept in good condition by the client. Once all removed, you can be treated to a Spa Mist hair & scalp treatment to revitalise your hair and scalp. We can also repeat the scalp analysis to show the great condition your hair & scalp are in. A break from extensions for 1 to 2 weeks is suggested before re-application of pre-bonded hair extensions. Our clip in range can be used during this time. Fellow of The Institute of Trichologists.